Our distinguished industry mentors give their time and energy to help students learn: programming, computer aided design, electrical engineering, mechanical engineering, writing, graphic design, business planning, presentation, fundraising, and animation skills. Can be a person of any age, teaching others what they know. Brings either technical or non-technical expertise to the team. Provides the opportunity for students to learn directly through experiences. MetalCow is like a small robotics company. Teach students to manage the business aspects of the team, to manage our budget, track parts inventory, and plan for team sustainability. 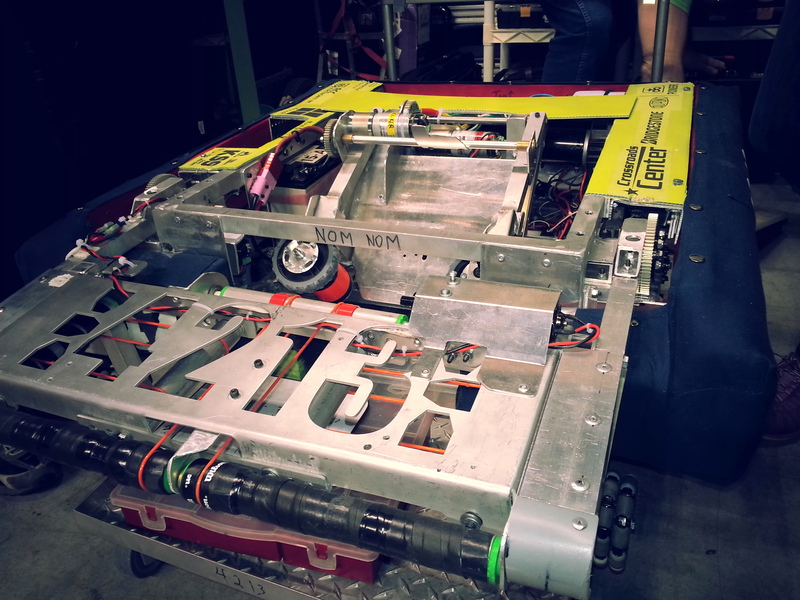 What would a robotics team be without a working robot? Mentor students as they design and build the mechanisms for a 120lb aluminum chassis competition robot. Inspire students through art! Guide students as they create a promo video for our team, update the website, or design a poster for an outreach event. A robot can't compete without a brain, show students how to breathe life into the robot through teaching them wiring, soldering, and programming skills. What skills can you share? Become and Mentor, Apply Today! MetalCow Robotics has been providing McLean County students a hands-on STEM education and career readiness experience since 2011. A 4H-SPIN Club which competes in FIRST Robotics Competition, MetalCow Robotics is a 501.c.3 non-profit organization.